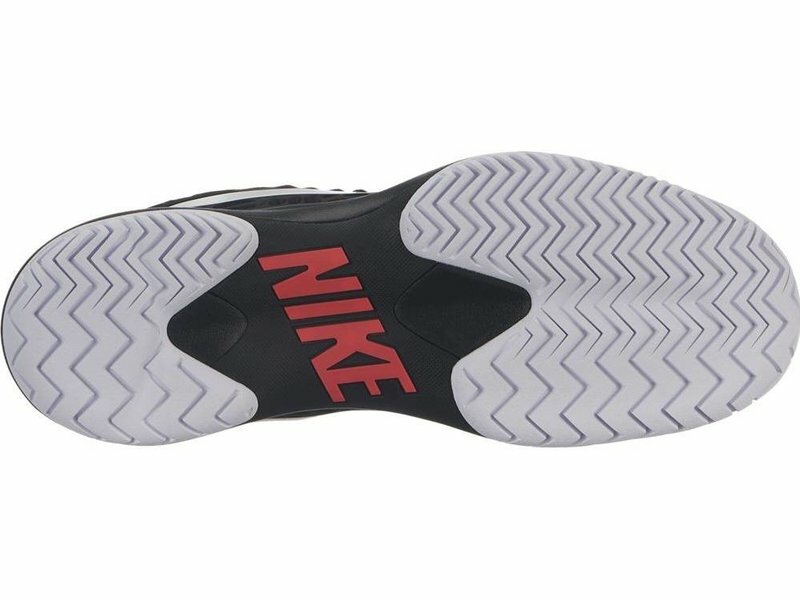 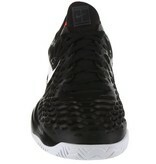 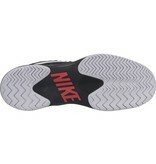 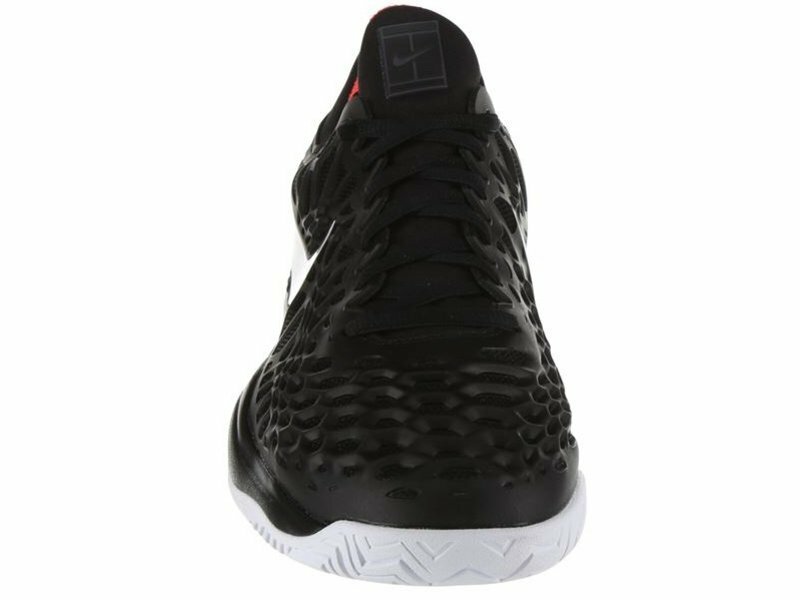 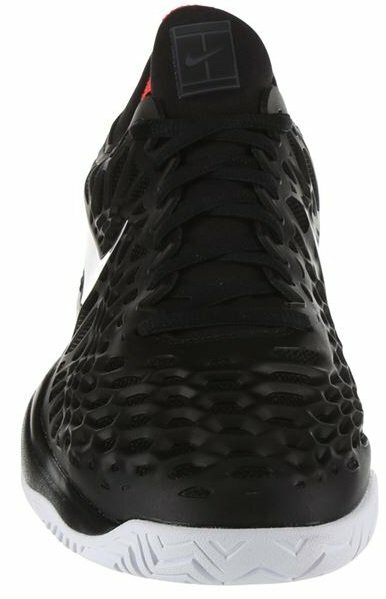 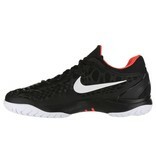 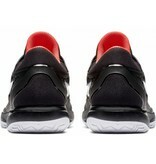 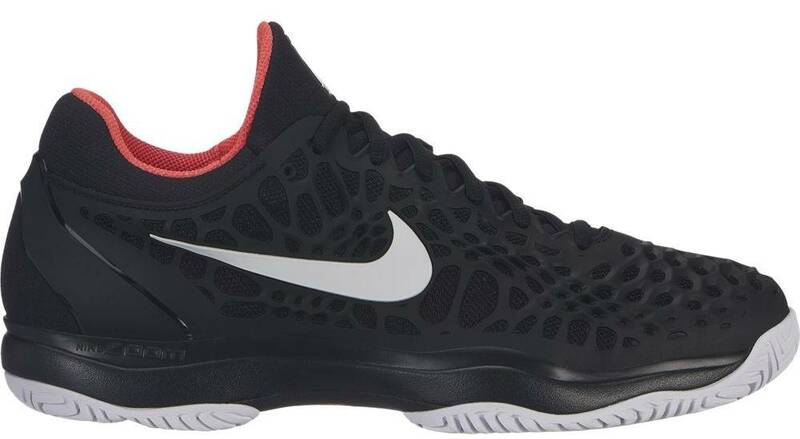 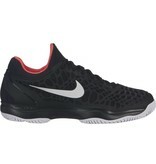 The men's Nike Zoom Cage 3 in Black, White and Bright Crimson are durable, flexible and comfortable. 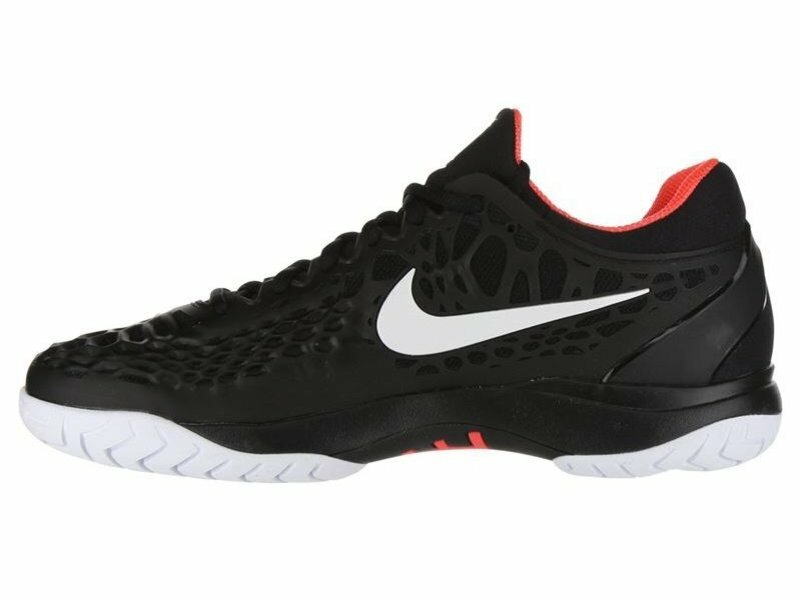 Nike's Cage line comes with a cage overlay on the upper which maximizes stability while retaining flexibility and some breathability. 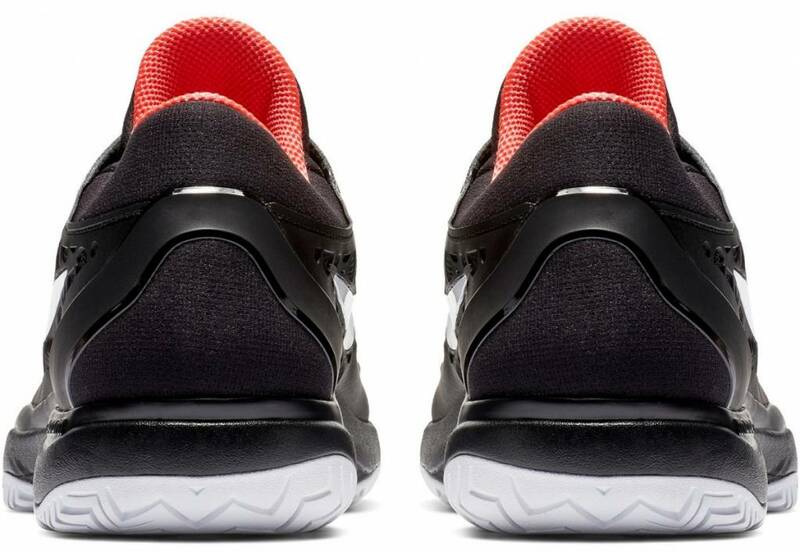 The Cage 3 is also lighter than previous versions, keeping you quick on your feet. 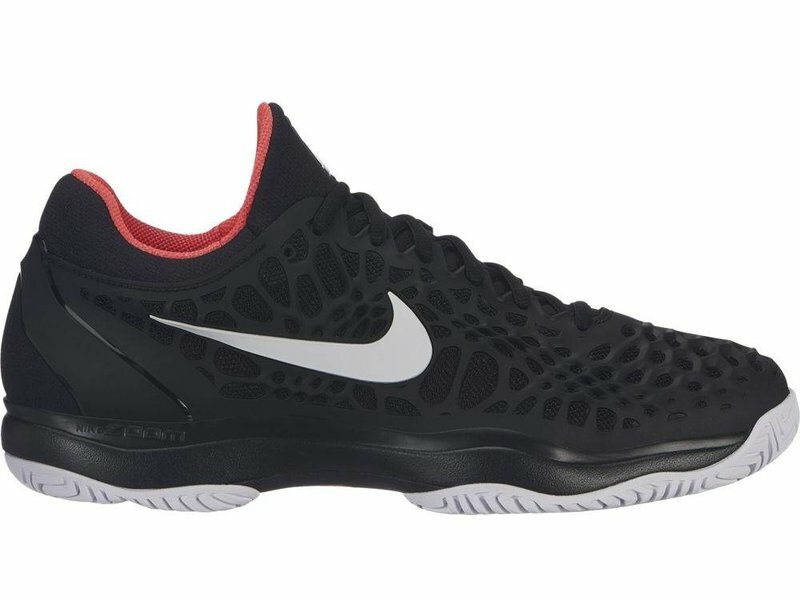 The Cage line is loved by top tour professionals for its excellent cushioning and durability during prolonged, hard impacts on the court. 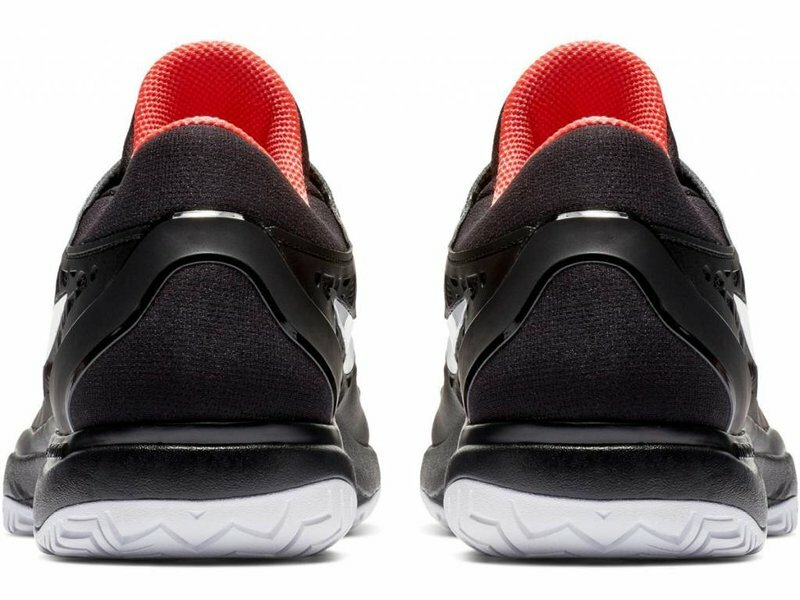 The Cage 3 is supportive when you want it and flexible when you need it.